The name of this Street Lamp is bean sprout lamp, because its appearance design is based on bean sprout, it is a special smart street lamp.This lamp is used in the main road of the city, adding a lot of lively atmosphere and a sense of vitality to the city.According to the requirements of customers, several pieces of bean sprouts can be added into the design. Different from the traditional Road Lighting street lamps, bean sprouts are more special and artistic.Its lamp pole uses aluminium alloy rotary press lamp poleThe spinning pole is the use of foreign advanced spinning equipment,forming a whole without welding,forming a conical or profiled bar.And then polishing,remove surface oil,burr and indentation.Then after the quenchingintensity,to T6 state,in line with international standards.The product never rust,strong corrosion resistance;diversified surface treatment process,the appearance of simple fluid lines.Light weight,convenient installation and transportation;the rod body can be 100% recycling,low melting temperature. Aluminum Alloy Spinning Lighting Pole,Lightest Aluminum Alloy,Aluminum Alloy Torchlight,Lightweight Aluminum Alloy,New Products Lighting Series,Aluminum Alloy Spinning Lighting Pole. 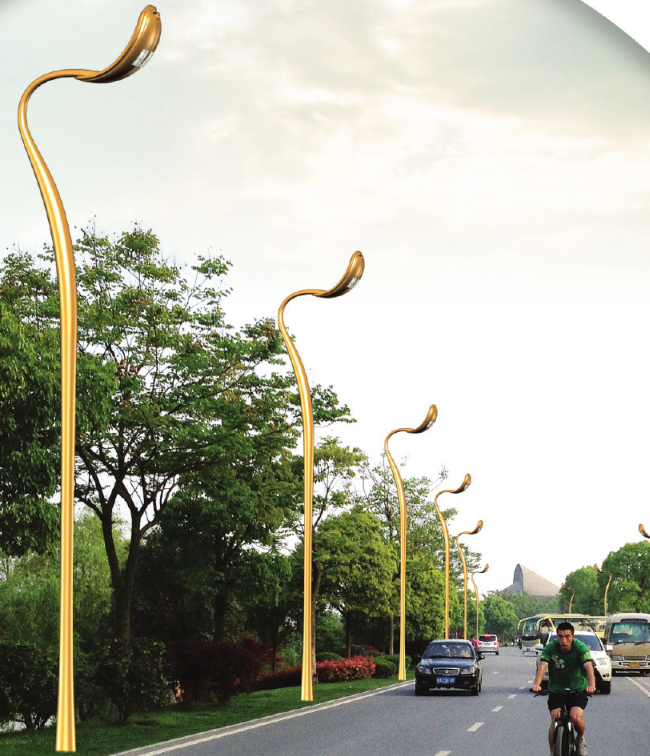 Looking for ideal Bean Sprouts Street Lamp Pole Manufacturer & supplier ? We have a wide selection at great prices to help you get creative. All the Flexible Bean Sprouts Street Lamp are quality guaranteed. We are China Origin Factory of Well-formed Bean Sprouts Street Lamp. If you have any question, please feel free to contact us.